In our previous tutorial, we looked at using Moodle in concert with SCORM to record whether or not a student watched a video assignment. As an addendum, we'll use SCORM to help us record a quiz score related to that video in Moodle's gradebook. 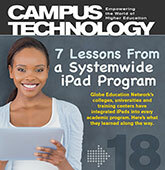 See also: Part 1: Extending Moodle with Camtasia Studio and SCORM. PROBLEM: You don't want just to know that a student watched a video; you want to know the score he or she received on a quiz accompanying that video. You want the quiz score entered into the Moodle gradebook. Building from the first example, it is possible to feed Moodle more than just a completed/did not complete data value. To illustrate this, imagine that the Camtasia video in question has a quiz embedded within it and you want to pass from that video both the completion (they watched the video) and the score from the quiz. 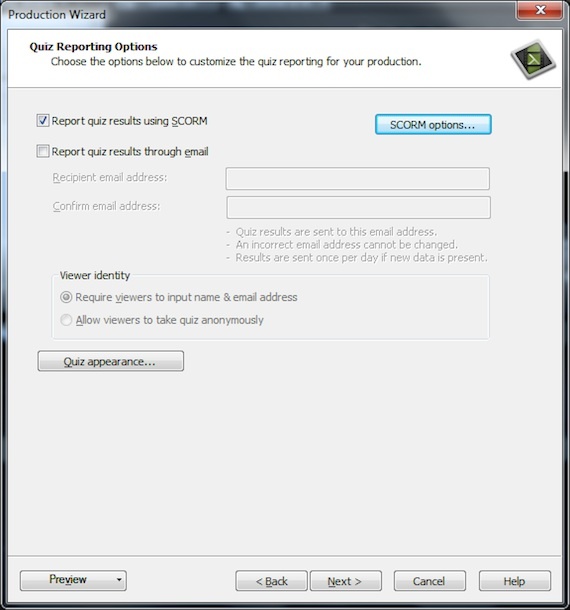 Do everything exactly as described earlier, but also complete the Quiz Reporting Options shown in fig. 1. Fig. 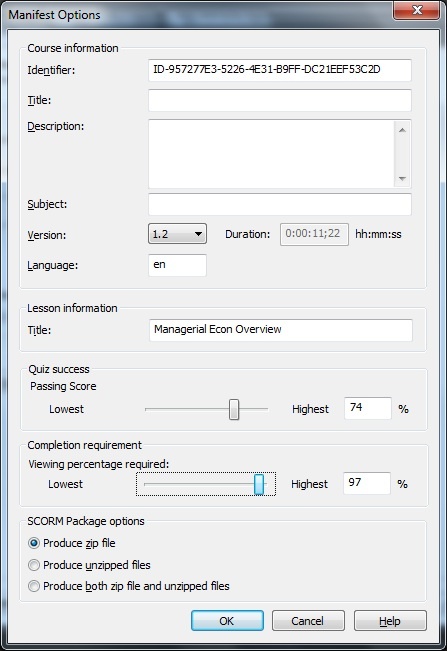 1: Complete the SCORM options for the quiz results to pass to Moodle. You also want to configure the passing score. In the example being shown in fig. 2, there are four multiple-choice questions in the quiz, and a student is considered to have passed if he or she can answer three of the four correctly. While a setting of 75 percent is technically correct, 74 percent is used here to circumvent any rounding problems. Fig. 2: Set the minimum passing score. The zip file is loaded into Moodle as a SCORM package in the same way, and this time "Highest grade" is used as the grading method and all other options are left essentially the same. And now both scores are passed from the video to Moodle. A final word of warning: Theoretically, the quiz percentage should translate to anything you want it to - for example, if the quiz in Moodle is only worth 20 points - as configured under Grade Settings - then a 75 percent score on the SCORM object should translate and record as 15 points in the gradebook. What makes sense in theory, though, can lead to big headaches in practice and even though the grade setting maximum is set to 20, Moodle will default to accepting — and recording — the 100 percent result as 100 points. You can manually correct, but if you're looking for the easiest solution, it is to make SCORM activities worth 100 points. Tim States is a technologist, adjunct instructor, and Moodle Administrator at Anderson University. He can be reached at thstates@anderson.edu. Emmett Dulaney is an associate professor at Anderson University. He can be reached at eadulaney@anderson.edu.